Luggage carrier in chrome steel. German design and manufacture. Made in Germany by Fehling. Uses existing mounting points and requires no modification of the bike. Flyscreen for Triumph Thunderbird Storm sold as a complete kit. DART brand, made in England. Engine protection bars in chromed steel. Made in Germany by Fehling. 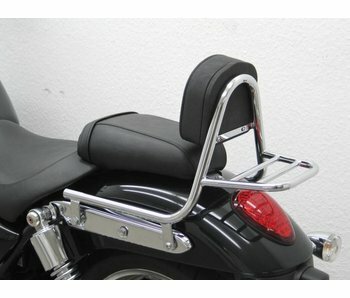 Sissy bar with luggage rack and passenger back-rest. Fehling brand, made in Germany. 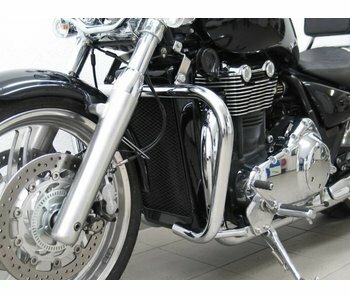 "Bypass" pipes in stainless steel for catalyst removal on Triumph Thunderbird 1600 and 1700 Storm. 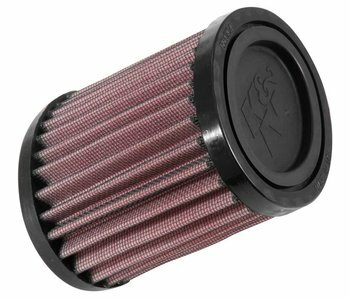 Performance gain and better sound! Flyscreen for Triumph Thunderbird Commander sold as a complete kit. DART brand, made in England. YSS adjustable shock absorbers for Triumph Thunderbird 1600 and 1700 Storm / LT / Commander, no more "back-breaking" original dampers!